Opprett en konto med Min Lexus for å kunne nyte godt av en verden med spennende funksjoner og innhold. - be able to become a member of MyLexus and open and use a MyLexus account. If you open and use a MyLexus account, you are responsible for maintaining the confidentiality of your MyLexus account and related password, as well as for restricting access to the device(s) through which you access your MyLexus account (for example, your computer) to prevent unauthorised access to your MyLexus account. You agree to accept full responsibility and are liable for all activities that occur under your MyLexus account or related password. You should take all necessary steps to ensure that your MyLexus account related password is kept confidential and secure. You should also inform us immediately if you have any reason to believe that your password has become known to anyone else, or if the password is being, or is likely to be, used in an unauthorised manner. You can always reset your password by going on the “Sign In” page and clicking on the “Reset password” link. You will then be asked to fill in the email address of your MyLexus account. You will then receive an email with instructions to reset your password and a link you need to click on. Clicking on this link will take you to a page where you need to write your new password and confirm your new password and then to click on “Change password” to confirm the changes. The email with the instructions to reset your password can also be triggered by a call centre or by a customer support member through the “Administrative Portal”. The following steps then remain the same as described above. Please ensure that the details you provide us with are correct, up-to-date and complete. Please also inform us immediately of any changes to the information you provided us with when opening your MyLexus account or afterwards. You can access and update much of the information you provided to us in the “My Profile” area of the MyLexus portal/app. - to terminate or remove a MyLexus account. A cookie is an alphanumeric identifier that we transfer to the hard drive of your computer through your Web browser in order to enable our systems to recognise your browser and to provide special features. 2. If you do leave cookies turned on, be sure to sign off when you finish using a shared computer. We will try to ensure an uninterrupted availability of the MyLexus portal/app and your MyLexus account and error-free transmissions. However, due to the nature of the Internet, an uninterrupted and error-free access cannot be guaranteed. Also, Lexus may occasionally suspend or restrict your access to the MyLexus portal/app and/or your MyLexus account in case of emergency, for technical reasons (repair, maintenance, improvement, etc. ), for security related reasons and/or for the introduction of changes (new facilities, services, apps, etc. ), without incurring any liability. We will attempt to limit the frequency and duration of any such suspension or restriction. Lexus may also block or prevent access to your MyLexus account in case of a (suspected) breach of confidentiality/security of the account or a misuse thereof. You are responsible for the choice of your own devices used to access the MyLexus portal/app and your MyLexus account, as well as the products, services or apps via the MyLexus portal/app, including the compatibility of such devices in terms of software and technological fitness to receive the Services. You are also responsible for keeping your devices up to date, including, but not limited to, by installing any updates or new releases when these are made available by Lexus. Via the MyLexus portal/app and your MyLexus account (“MyLexus”), you may have access to various services and apps which are made available to you or which you can buy or subscribe to. · Via MyLexus and/or via your Lexus car you have the possibility to access/subscribe to a range of specific services and apps if your Lexus car is equipped with Lexus’s connectivity device (the “Connectivity Device”). You can subscribe to (Internet) connectivity services ("Connectivity Services") and to related connected services and apps (together "Services”). · Lexus does not, and you explicitly acknowledge that Lexus does not, provide any Connectivity Services, Internet access and/or other electronic communication services. \Lexus does not transmit nor convey any (electronic) signals. Lexus is also not responsible for the transmission and/or conveyance of any (electronic) signals. These Connectivity Services, Internet access and/or other electronic communication services, as well as the transmission of any (electronic) signals are provided by the respective Third Party Provider. How to subscribe to the Services. (5) Lexus and/or the Third Party Provider will confirm your subscription by email or by other means of notification. Use of the Connectivity Device. · The Connectivity Device will have to be activated by you. This activation is done either directly via your MyLexus account or via the Connectivity Device and then confirmed via your MyLexus account. · TME and/or its affiliated companies retain all rights on the Connectivity Device and its content, including, without limitation, any intellectual property rights vested therein. · Software updates of the Connectivity Device will take place automatically and you hereby undertake to accept such updates and not to prevent or hinder them in any way. Furthermore, you undertake to submit your Connectivity Device to periodical maintenance check-ups, as recommended from time to time by Lexus. Lexus may replace the Connectivity Device at any time for security reasons, to update the offering of Services or for any other reason based on applicable laws and regulations. · Any handling or manipulation of the Connectivity Device and of the Connectivity Device’s software (for example, copying, modifying, reverse engineering, etc.) is prohibited. · Except for security reasons or where required by applicable laws or regulations, you must not remove the Connectivity Device from your Lexus car or uninstall any part of its software. If, notwithstanding the above, you undertake one of these actions, you will automatically deactivate or discontinue the Services you have subscribed to, without any right to be reimbursed for the lost subscription period. Furthermore, Lexus will not be liable for any consequences resulting from the removal or uninstallation which may affect the functioning of your Lexus car. Finally, you will lose any benefits and commercial advantages you had acquired by using the Services (for example, insurance or financing advantages related to the monitoring of data transmitted by the Connectivity Device). · Please note that once the Connectivity Device in your Lexus car is activated, the Connectivity Device will transmit data about the geo-location of your Lexus car. This geo-location data is necessary for the functioning of the Services which you will have subscribed to. Therefore, if you deactivate the Connectivity Device, please be aware that you will not be able to access and use any of the Services. · The offering of the Services is subject to applicable consumer protections laws and regulations. - If applicable and provided you are to be considered a consumer under the applicable national consumer protection laws and regulations, you have the right to withdraw from the subscription contract you have concluded via MyLexus in relation to the use of the Services within fourteen (14) days from the conclusion of such contract without giving any reason. Your right to withdraw from such contract will thus expire after fourteen (14) days from the day of the purchase of your subscription. - To exercise your right of withdrawal, you must inform us of your decision to withdraw from your subscription by an unequivocal communication sent to us within the fourteen (14) days (withdrawal) period. For this purpose, you may, but are not obliged to, use the attached model withdrawal form. - If you withdraw from your subscription, we will reimburse to you (i) all the fees received from you for such subscription with the exception of the part of the fees paid by you which corresponds to the part of the Services that have been provided to you, upon your specific request, until you have communicated us your decision to withdraw from your subscription, and (ii) the costs of delivery, if any (with the exception of the supplementary costs resulting from your choice of a type of delivery other than the least expensive type of standard delivery offered by us), without undue delay and in any event not later than fourteen (14) days from the day on which we are informed about your decision to withdraw from your subscription. We will carry out such reimbursement using the same means of payment as you used for the initial transaction, unless you have expressly agreed otherwise; in any event, you will not incur any fees as a result of such reimbursement. - You expressly acknowledge that you cannot withdraw from your subscription in case the Service concerned has been provided in its entirety before the expiry of the fourteen (14) days (withdrawal) period following the purchase of the subscription (e.g. purchase of 1 month Connectivity Services and usage of the entire data limit before the expiry of the fourteen (14) days (withdrawal) period). · You acknowledge and accept that any use of the Services, including when using them in your Lexus car, is under your sole responsibility and at your sole risk, and that Lexus and/or its affiliates, as well as our suppliers, are not liable for any damages you may incur yourself or you may cause to third parties in connection with such use.We expressly exclude our liability for any and all indirect or consequential damages, including, but not limited to, loss of data, reputational damage, loss of profit, loss of anticipated savings, loss of earnings and business interruptions. You also acknowledge that you are solely responsible for any use, storage, protection and distribution of any data which has been provided to you or which you have access to in relation to or as a result of your use of the Services. · Any usage of any of the Services made available from your Lexus car must be done at all times in accordance with applicable legislations and in a safe and secure manner so that it does not interfere with or disturb the driving of the car and/or other participants in traffic. · Lexus and/or its affiliates do not ensure the accessibility, quality or accuracy of any of the Services that Lexus or any Third Party Provider makes accessible or provides through MyLexus at all times and in all situations, or the adequacy of the Services with regard to your specific needs or intended purposes or those of other drivers or passengers of your Lexus car or of third parties. Lexus grants you a limited licence to access and make personal use of the MyLexus portal/app and your MyLexus account, but not to download (other than page caching) or modify it, or any portion of it, except after a prior explicit written consent of Lexus. The use of the MyLexus portal/app and the creation and use of the MyLexus account are for free. As regards the Services mentioned in Section 4 above, or any other service or app, a fee, if any, will be explicitly specified. Lexus reserves the right to modify, discontinue, suspend or replace any service or app available or offered through the MyLexus portal/app at any time and at its discretion. In such case, Lexus shall inform you reasonably in advance thereof. Lexus shall not incur any liability as a consequence of its decision. This licence does NOT include (a) any re-sale or commercial use of this website or its contents, (b) any collection and use of any product listings, descriptions or prices, (c) any derivative use of this website or its contents, (d) any downloading or copying of account information for the benefit of another merchant or (e) any use of data mining, robots or similar data gathering and extraction tools. The MyLexus portal/app or any portion thereof may not be reproduced, duplicated, copied, sold, resold, visited, or otherwise exploited for any commercial purpose without the prior explicit written consent of Lexus. 7. Collect, use or transfer any information, including, but not limited to, personally identifiable information, also known as “personal data”. In case of any unauthorised use Lexus shall be entitled to terminate the access to and use of the MyLexus portal/app and/or your MyLexus account and/or any services or app related thereto with immediate effect and without being liable to you for any compensation. All marks indicated on the MyLexus portal/app and any related website are trademarks or registered trademarks of the company Toyota Motor Corporation, with head office in Japan, and are valid in the European Union and/or other jurisdictions. Lexus’s graphics, logos, page headers, button icons, scripts and services and apps names are the trademarks or trade dress of Lexus. Lexus’s trademarks and trade dress may not be used in connection with any product or service that is not Lexus’s, in any manner that is likely to cause confusion among customers or in any manner that disparages or discredits Lexus. All trademarks not owned by Toyota Motor Corporation that appear on the MyLexus portal/app and any related website are the property of their respective owners, who may or may not be affiliated with, connected to, or sponsored by Lexus. Lexus shall retain any and all rights on the data obtained from the use of the MyLexus portal/app, its content, services and apps, etc., in anonymous form, and any subsequent use of or analysis performed by Lexus based on such data. Third Party Providers may made accessible, provide or sell products, services or apps through the MyLexus portal/app. We are not responsible for checking, evaluating and/or validating any of these Third Party Providers’ products, services or apps. We do not warrant nor endorse the offerings of any of these Third Party Providers and we are not in any way responsible or liable for any action from the Third Party Providers and/or for the content, quality and/or performance of their products, services or apps. TME will not be responsible and incur any liability for any damage you might suffer or you might cause to third parties as a result of your use of the MyLexus portal/app and/or your MyLexus account. This Privacy Notice relates to the Processing of your Personal Data in the framework of your access to and use of the My Lexus portal/app and the creation and use of your MyLexus account. It always has to be read together with the General Lexus Privacy and Personal Data Protection Policy in which the general modalities of the processing of your Personal Data are described and which you must accept in order to proceed further [insert link to the General Lexus Privacy and Personal Data Protection Policy]. Lexus Norge, Svelvikveien 59, 3003Drammen and Toyota Motor Europe NV/SA (“TME”), Avenue du Bourget / Bourgetlaan 60, 1140 Brussels, Belgium, as Data Controllers, will collect your Personal Data (as indicated below) for the purposes as described below. WHICH OF YOUR PERSONAL DATA WILL BE COLLECTED? We will collect the following (categories of) your Personal Data with respect to the MyLexus portal/app and your MyLexus account:. - Information about your Lexus car (Vehicle Identification Number, registration number, and other relevant information). - Any sound or image files that you may upload onto the MyLexus portal/ app and/or your MyLexus account. - The Lexus website and the MyLexus portal/ app uses server logs which record your interactions with the Lexus website and the MyLexus portal/app and in terms of the webpages you visit by reference to your computer's internet protocol address at the time. The automatic processes that we use to collect information include cookies, log-files and Wifi access point beacons. § To allow you to make requests to us (for example, a request for a test drive, a quotation, a brochure, an appointment or any other request for information on Lexus products or services). Please note that certain of your requests may be fulfilled by a selected Authorised Retailer/Repairer(*). In such case, your Personal Data must then be accessible to that selected Authorised Retailer/Repairer in order to enable them to fulfil your requests. (*) The selected Authorised Retailer/Repairer is (1) the one you have selected as your “preferred Authorised Retailer/Repairer” via the settings of your MyLexus account (which you can change at any time) or (2) in case you did not make such selection, the one identified by us based on location (the nearest to you based on your postcode, address) or based on the history of your contacts with our network. - To send you reminders related to your Lexus car and to renew any service we offer that is about to expire. - To inform you about offers of Lexus products and services which could be relevant for you, for your Lexus car and/or your mobility. - To send you information about events that Lexus is organising. - To contact you to request your participation in surveys we undertake with respect to you as owner of a Lexus car and the Lexus products and services and, upon your acceptance, to perform these surveys and to follow up on them. - To send you our newsletters. - To update, rectify and consolidate your Personal Data which will be collected based on this privacy notice and your Personal Data which would already be available in a lawful manner in other systems operated by our Authorised Retailers/Repairers or any other recipient. - To contact you if we experience problems in fulfilling one of your requests. - To improve the MyLexus portal/ app or ensure that the content on the MyLexus portal/ app is presented in the most effective manner. - As part of our efforts to keep the MyLexus portal/ app and your MyLexus account secure. 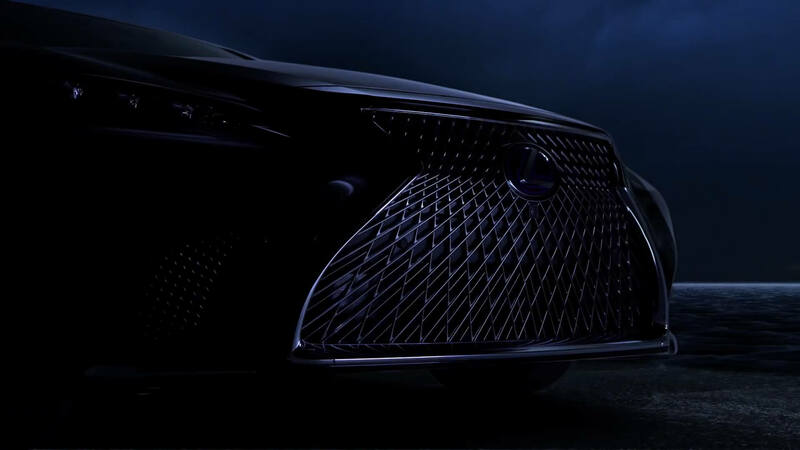 - To detect or prevent unlawful, malicious or offensive activity with respect to the Lexus website, the MyLexus portal/ app and/or MyLexus accounts. We do not use any automatically collected data to identify individual internet users unless we believe they may be involved in unlawful, malicious or offensive conduct. - To analyse the Lexus website and MyLexus portal/ app usage and to investigate any performance issues with the Lexus website and MyLexus portal/ app. We may screen internet protocol and email addresses to prevent the Lexus website, the MyLexus portal/ app and/or your MyLexus account being used to forward unsolicited electronic communications. - To comply with a court order or with an order or request from an authority. If your MyLexus account related information indicates that you own a Lexus car and in case you have not logged in on your MyLexus account for 5 years, we will consider that you do not wish to keep your MyLexus account and to rely on certain of its features that are linked to the ownership and use of your car (for example, the link between the use of a connectivity device in your car and your MyLexus account). We will then close it and delete your Personal Data related to it. Before effectively closing your MyLexus account and deleting your Personal Data, we will send you an e-mail so that you can confirm whether or not you want to keep your MyLexus account. The same applies if your MyLexus account related information does not indicate that you own a Lexus car and you have not logged in on your MyLexus account for 2 years. All categories of your Personal Data described above. As mentioned above, certain of your requests may be fulfilled using an Authorised Retailer/Repairer and we then may pass your Personal Data to the Authorised Retailer/Repairer of your choice (click here to access the list of our Authorised Retailers/Repairers), so that they can process your request and contact you as needed in the framework of your requests. In case you did not make a choice of Authorised Retailer/Repairer, we will select one based on location (the nearest to you based on your postcode, address) or based on the history of your contacts with our network. All of our Authorised Retailers/Repairers are independent groups or companies. They are instructed that they must have appropriate data security safeguards in place and that they must not use any of your Personal Data for any purpose outside the fulfilment of your specific request to us. The Authorised Retailer/Repairer concerned may separately ask you to provide your name and contact information for other purposes, such as, for example, marketing activities. Such contacts will be made in compliance with applicable data protection law. Du må godta vilkårene for å registrere deg. Du må godta retningslinjene for personvern for å registrere deg.